As a homeowner, you rely on termite companies to protect your home from termite infestation and damage. You rely on their expertise and process, and pay them to regularly treat and inspect your home. Under most contracts, your termite company is required to apply chemicals into the ground or install bait monitoring stations around your property. They will also inspect the property for termites on a regular basis during the life of most contracts. If that termite company does its job properly, then you’d reasonably expect your home to be free from termite infestation. But what if that termite company makes a mistake? If the company doesn’t inspect or treat your property correctly, termites can infest your home — and the results can be disastrous. Very few homeowners know that South Carolina has a State Department of Pesticide Regulation, administered by Clemson University, that is responsible for the enforcement of South Carolina’s pesticide laws. These statewide regulations play an important role in enforcing termite laws. They provide independent standards and are in addition to whatever contract terms you may have already, and might diverge from the standard termite contract. So what should you do if you find termites in your home? 1. Take lots of pictures of live and dead termites and any termite damage. 2. Collect a sample of the live or dead bugs for analysis. 4. Call your termite company and report your discovery. Ask your termite company to come inspect your home and kill all the termites. 5. Obtain a copy of your contract, inspection tickets, and anything else that you might have exchanged with your termite company. 6. Call Duffy & Young or another law firm that has experience representing homeowners with termite infestation claims. Duffy & Young represents property owners who have discovered they have a serious termite infestation. Our goal in every representation is the same: To put our experience helping homeowners to work for our clients. 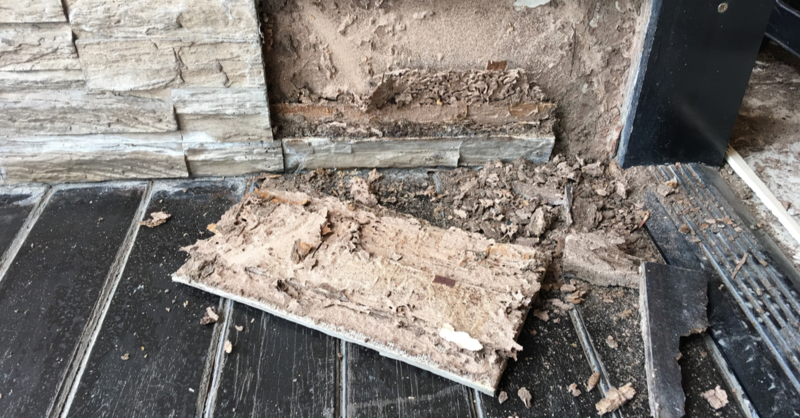 We work with an experienced group of seasoned termite experts who can evaluate the property, and we also use an experienced group of reputable repair contractors to prepare a complete scope of repairs for any termite damage. Here are some other resources to tap if you find yourself in this situation: EPA Resources for Safe Pest Control, and University of Kentucky Entomology Center. Have questions about your unique situation? Give Duffy & Young a call today. Learn more about our experience in termite infestation and other types of property law cases we've taken on.